The Mentone Hotel, consisting of a large two storey brick building. Later single storey additions to the rear (north-west) are not significant. 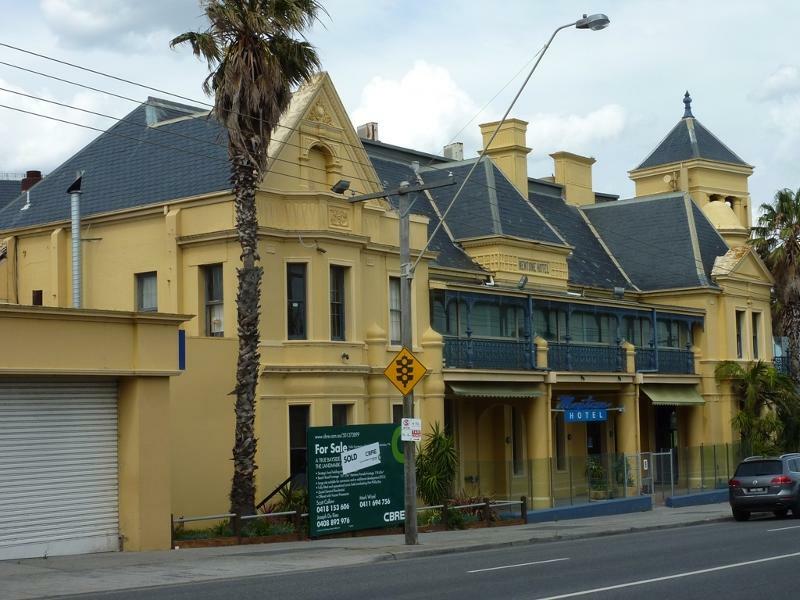 The Mentone Hotel was built on the Port Phillip Bay seafront at the height of the Melbourne land boom to provide accommodation and facilities for visitors to the seaside. Excursions to the beach were popular in Victoria from the mid-nineteenth century, providing opportunities for relaxation and pleasure in what was considered a healthy and recuperative environment. Beach destinations became increasingly fashionable for Melburnians in the 1880s and a number of large hotels were established along Port Phillip Bay, from St Kilda to Queenscliff. Access to these destinations, for both holiday makers and day trippers, was facilitated by the opening of rail lines from Melbourne and the operation of large steamers on Port Phillip Bay. Advertised as a new, highly accessible and attractive seaside suburb on the shores of Port Phillip Bay, Mentone developed after the railway to Mordialloc was opened in 1881. The popularity of the beach suburb resulted in the need for appropriate accommodation and facilities for visitors. In 1887 architects Loweish, Moorhouse and Figgis called tenders for a large, 50-roomed hotel on the sea front. The Mentone Hotel was subsequently opened by 1890 and the following year sea baths were constructed at the nearby beach. The hotel continued to attract custom and provided accommodation, bar and dining facilities for visitors until at least the 1930s. Briefly renamed the Edgewater Beach Hotel in the 1950s, the hotel continued to provide bar and dining facilities until November 2014. Situated on a prominent and narrow wedge-shaped site, the Mentone Hotel is a large two storey rendered brick building with slate roof. The building is complex in form and combines an unusual assemblage of elements, including a prominent corner tower, subsidiary circular towers with cupolas, curved balconies and bell-cast roofs. The composition is highly original, reflecting the unusual site, the beachside location and an interest in complex and elaborate design in the late boom period in Victoria. The eclectic detailing combines both classically derived and novel elements. The two street facades are broadly identical and contain balconies which are divided into three bays, with central hipped roof and flanking two-storey pedimented bays. 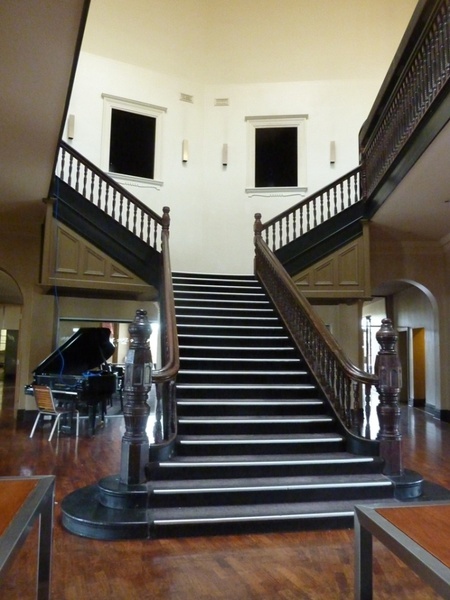 Internally the original grand staircase and open stairwell remain as a feature of the central space of the building, otherwise the interiors have been substantially altered. Single storey additions have been made to the rear of the building, including a drive-through bottle shop. Criterion A Importance to the course, or pattern, of Victoria's cultural history. Criterion D Importance in demonstrating the principal characteristics of a class of cultural places and objects. As Executive Director for the purpose of the Heritage Act 1995, I give notice under section 46 that the Victorian Heritage Register is amended by including Heritage Register Number H2346 in the category described as Heritage Place. All of the place shown hatched on Diagram 2346 encompassing part of Lot 2 on Lodged Plan 64632. In the nineteenth century, the seaside provided a place for relaxation and enjoyment, as well as being a restorative place for the invalid and a healthy destination for all Victorians. The curative properties of fresh air and climate were well publicised in the nineteenth century and the fortifying and revitalising powers of a visit to the seaside were well recognised. Depending on one's means, this may have involved day tripping to beaches in close proximity to Melbourne, such as St Kilda, or holidaying at a more distant resort such as Queenscliff, Sorrento or Lorne. Development of the latter resulted from greater prosperity, increased leisure time and improved transport, and these distant resorts played an important social role for many wealthier Victorians. The development of seaside resorts resulted in the need for accommodation, particularly from the 1880s, and this took the form of hotels, coffee palaces and guesthouses. Pleasure trips down the coast of Port Phillip Bay from Melbourne took place as early as the 1840s, and by the 1850s boats were carrying visitors to seaside destinations such as Queenscliff. By 1861 when a pier was completed at Queenscliff, the scenic seaside location contained five hotels to accommodate the increasing number of holiday makers. 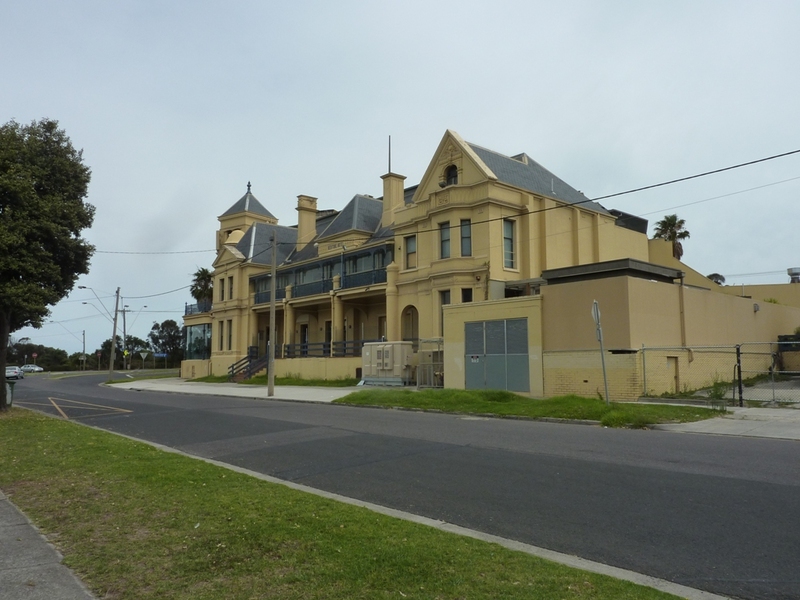 By 1879 a railway linked Queenscliff with Geelong and the boom years of the 1880s was reflected in the construction of hotels and mansions and an increase in the number of steamer trips from Melbourne. Holiday makers and day trippers visited in great numbers. In the 1880s larger steamers began operation, including the Ozone in 1886, which could carry 800 passengers, the Hygeia in 1890 (1,500 passengers) and the Weeroona in 1910 (2,000 passengers). Like Queenscliff, Sorrento developed as a popular seaside resort in the 1870s, largely due to the entrepreneur George Coppin who recognised the potential of the place as a resort for holiday makers. His company purchased land, constructed cottages, a road between the shore of the bay and the ocean, baths and a hotel known as the Continental Hotel. To access the town Coppin formed the Sorrento-Queenscliff Navigation Company and steamers transported large numbers of people from Melbourne to both destinations. By 1890 Sorrento was well established as a fashionable seaside resort with facilities and amusements, a tram to the back beach, cliff walks and lookouts and a range of accommodation including several grand hotels such as the Continental, Oriental and the Mornington Hotel. A third seaside destination, Lorne, developed at a slower rate due to its distance from Melbourne and the difficulty of the trip from Geelong through the Otways. However its relative isolation and scenic location encouraged its reputation as a new and exclusive resort and by the 1880s large accommodation establishments included the grand and commodious Pacific Hotel and the Lorne Hotel. Closer to Melbourne a number of beaches on Port Phillip Bay became popular destinations for day trippers and holiday makers, including Brighton, Mordialloc, Frankston, Schnapper Point (later Mornington) and Dromana. The opening of a railway to St Kilda in 1857 enabled easy access from Melbourne, and the provision of foreshore facilities such as piers, pavilions, hotels and deck chairs encouraged visitors. Further south along the bay, destinations such as Brighton became particularly accessible with the opening of a railway line to Brighton Beach in 1861, and Sandringham after the line was extended in 1887. A separate railway line was opened via Caulfield to Mordialloc in 1881 and further to Frankston the following year, allowing easier access to these beaches and beyond. Numerous publications were produced in Victoria from the 1870s which described a variety of Victorian holiday destinations, including the seaside locations of Port Phillip Bay. These included the Illustrated Handbook of the Bay: for those seeking recreation during the summer months, 1876-77; The Standard Guide to Victoria: containing a comprehensive description of the principal country towns and tourist resorts, 1899, and publications produced by the Victorian Railways Department from the 1880s and others. A number of large hotels were constructed in the 1880s to provide accommodation and associated facilities for visitors to a multitude of beaches on Port Phillip Bay. 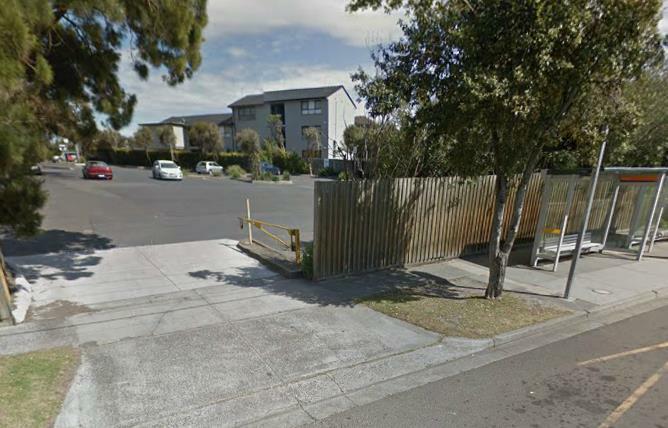 This included seaside locations such as St Kilda, Middle Park, Williamstown, Sandringham, Beaumaris, Mentone, Mornington, Mt Martha, Portarlington, Clifton Springs and Queenscliff. In the Argus in October 1884, Mentone was described as one of the newest and most prominent suburbs of Melbourne. The opening of the railway line to Mordialloc in 1881 was the impetus for the development of this suburb on the shores of Port Philip Bay. At the beginning of 1882, a syndicate including land speculator Matthew Davies, bought the block of land upon which Mentone is situated and subdivided it for sale. They submitted a plan for the new suburb, with a detailed subdivision of land and streets, and by 1884 they had completed and planted streets, constructed houses, including timber houses to cater for the 'great demand for artisans in the locality', and a reading room and bathing home on the beach. In 1884 it was also reported that a post office and store had been built and a 'hotel is about to be erected'. In the previous year, advertising material for the estate called Mentone 'the new watering place'. The site was described as the nearest beach location connected by railway to the city, after Brighton. 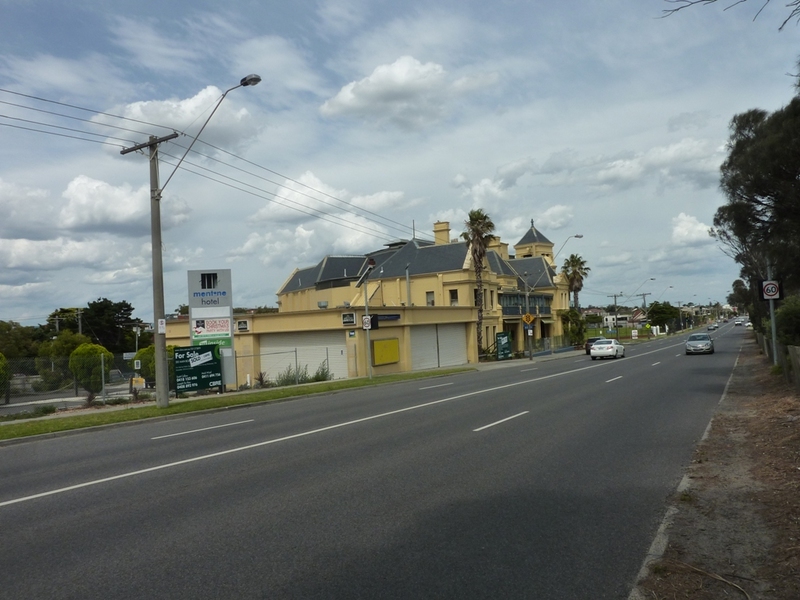 Situated on a different railway line to Brighton, Mentone was also publicised as more conveniently situated than the latter for residents in such suburbs as Toorak, Malvern, Caulfield, South Yarra, Hawthorn and Kew. To encourage the sale of allotments, comparative prices for allotments in St Kilda, Brighton and even Queenscliff were provided in the advertising literature. 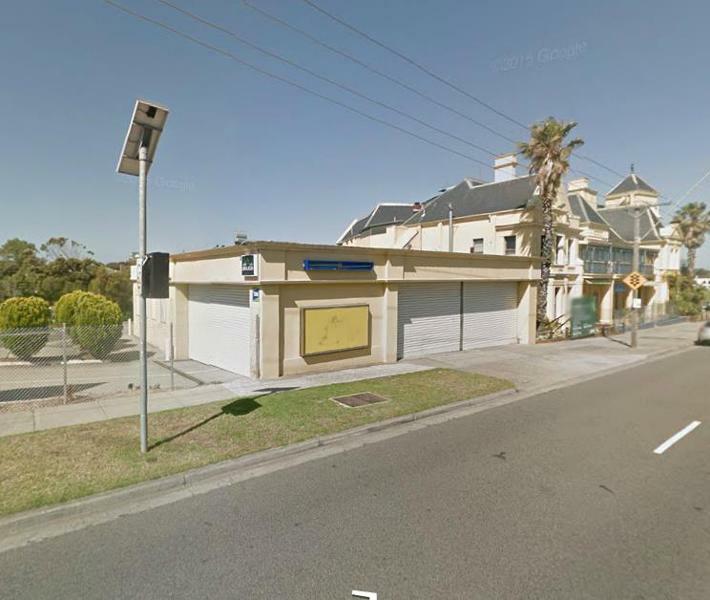 The new suburb of Mentone was situated between the railway line to the north and the beach to the south, with the main road, Mentone Parade, leading from the station to the nearest beach access. Streets were named after Italian towns such as Como, Naples, Venice, Brindisi, Milan, Cremona, Florence and Palermo and the suburb was advertised as 'the Riviera of the south' and 'the greatest seaside resort in the southern hemisphere'. By 1887 there were thirty occupied properties recorded in Mentone in the Sands and McDougall Directory. Three years later in 1890 this had increased to ninety-four. Young painters of the Heidelberg School visited the bayside beaches of Melbourne to paint in the open air. In the summer of 1886-87 Tom Roberts, Frederick McCubbin and Louis Abrahams reportedly rented a cottage in Mentone. The Mentone area became popular with these artists and many return trips were made, resulting in such well known paintings as Slumbering Sea, Mentone (Tom Roberts, 1887), A Holiday at Mentone (Charles Condor, 1888), Mentone (Tom Roberts, 1888 for the 9x5 Impression Exhibition) and The Sunny South (Tom Roberts, 1888-90). 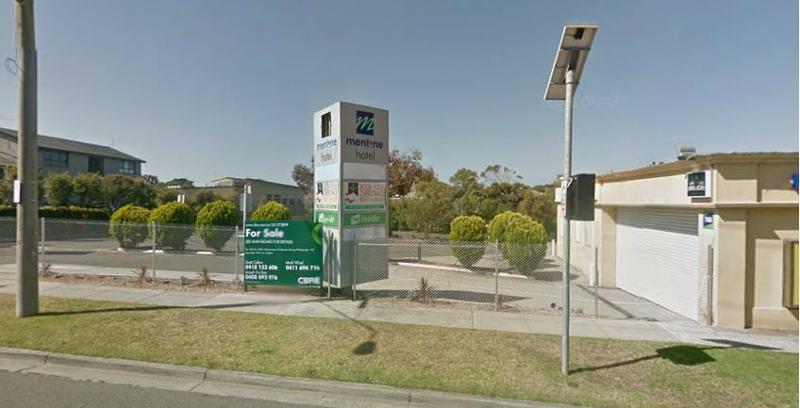 The popularity of the new suburb of Mentone was reflected in the construction of a number of associated buildings, providing both essential services and facilities for visitors. 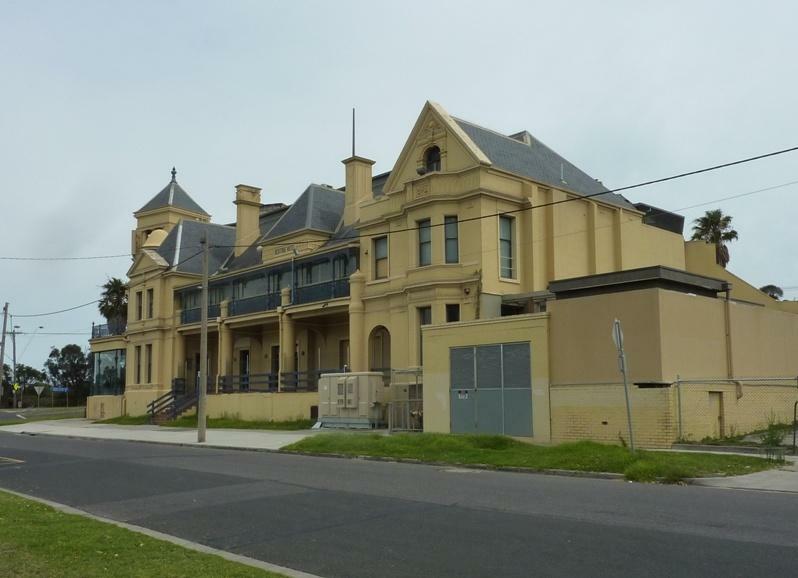 To provide for both the local population and to encourage visitors to the seaside resort, two hotels were conceived in 1887: one a temperance hotel or coffee palace in the town itself, and another a hotel on the sea front at the end of Mentone Parade. 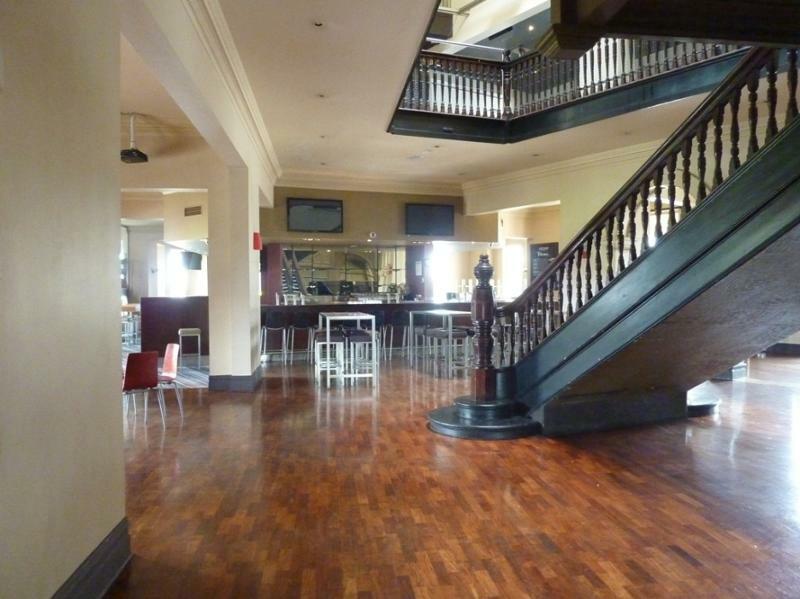 The Mentone Coffee Palace was financed by a new company which included Matthew Davies as the largest shareholder. The foundation stone for the Coffee Palace, designed by architects Reed, Henderson and Smart, was laid in August 1887. Just two months later, in October, tenders were called for a 50-room hotel on the Esplanade at Mentone by architects Loweish, Moorhouse and Figgis and the Mentone Hotel was subsequently opened by 1890. During the 1890s the hotel was advertised as providing first class accommodation for families with views of Port Phillip Bay and close proximity to the beach. By February 1899 it was reported in the Oakleigh Leader that 'Mentone is doing very well just now. The coffee palace and hotel are working at high pressure and all the houses and lodging places are occupied.' However the hotel, which was closer to the beach and providing both alcohol and accommodation, proved to be far more successful than the coffee palace and the company which financed the latter quickly experienced financial difficulties. By January 1895 the company was liquidated and the building was disused for a number of years. By contrast the Mentone Hotel continued to attract holiday makers and day trippers, the former utilising first floor accommodation and the latter the various hotel facilities, situated close to the beach and the sea baths constructed at the end of Mentone Parade in 1891. The hotel also provided a venue for various local meetings and dinners. The hotel had a number of managers including Frank Scudds who increased the hotel's popularity after his arrival in the 1900s. 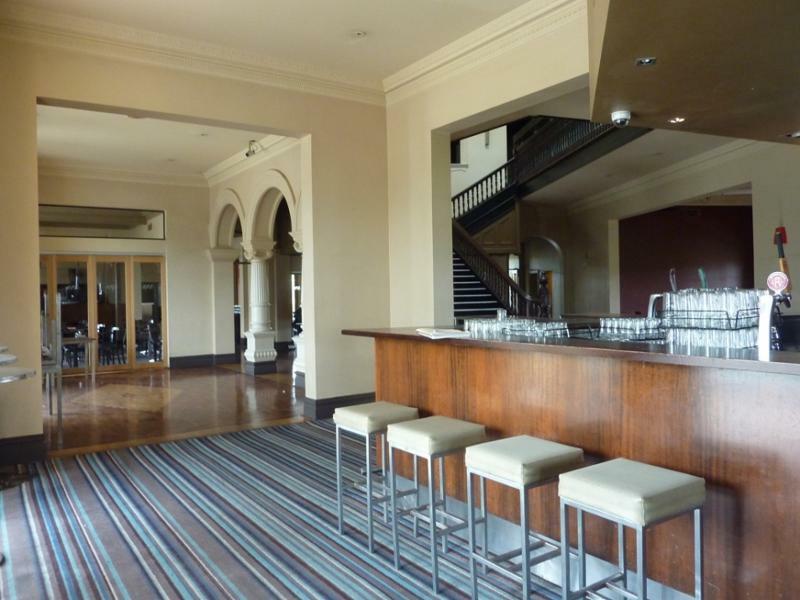 In 1908 the Mentone Hotel was described as an excellent facility in Picturesque Victoria and how to get there. Scudds, who remained as manager until 1920, was a Moorabbin Shire Councillor and noted local figure. 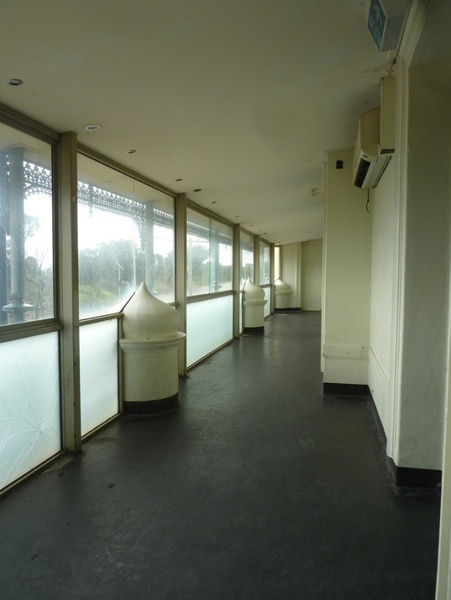 Subsequent owner in the 1920s, T Schifferle, undertook works including external terrazzo paving at the Beach Road entrance, inlaid with the words 'Schifferle's Hotel Mentone'. This paving remains in situ. During his ownership, the hotel was advertised as containing five public rooms and thirty one bedrooms. The Mentone Hotel continued to be used to accommodate holiday makers in the 1930s and lists of those staying there over summer were included in Melbourne newspapers. It was temporarily renamed the Edgewater Beach Hotel in 1953. 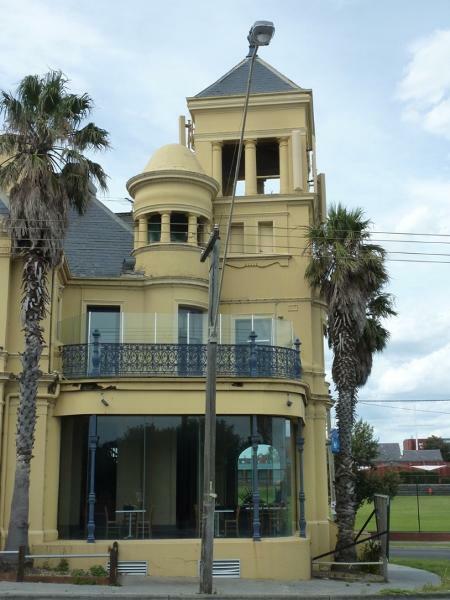 The architect Charles Douglas Figgis joined the established partnership of Loweish and Moorhouse in 1886 and together this firm designed two large two storey brick hotels at beach locations - Mentone and Clifton Springs, Drysdale, near Geelong. Tenders for both were called in 1887. Figgis left the partnership in 1888 and Richard Loweish and Frederic Moorhouse continued their partnership after this time. Prior to working in this partnership, Charles Figgis had established a prominent and prolific architectural partnership with H R Caselli in Ballarat. 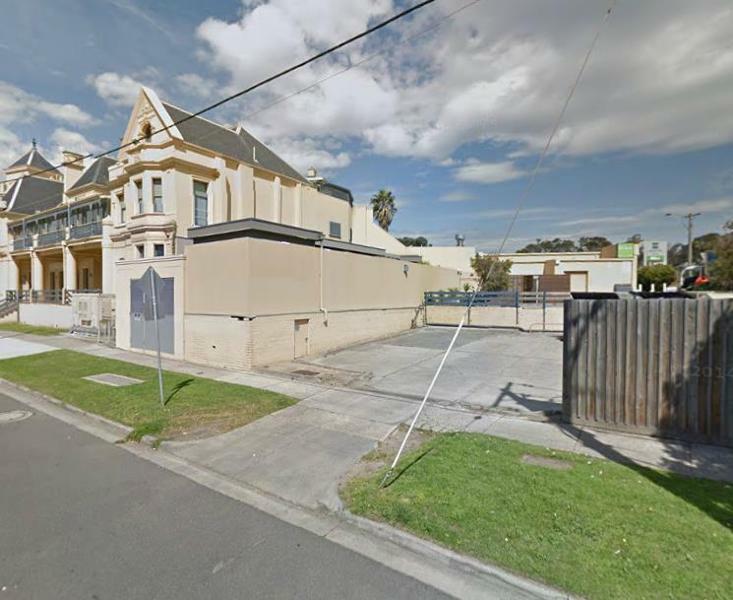 As Caselli and Figgis, they designed a large number of buildings in Ballarat, including the former Congregational Church, Mair Street, Ballarat (1881-82, VHR H0995), a building at the female refuge at Ballarat (1884, VHR H1893) and the former Ballarat Water Supply building (1884-86). After Caselli's death in 1885, Figgis won a competition for the design of the Ballarat Mining Exchange (1887, VHR H0391) and was also the architect for the Ballarat Club, Danna Street (1888), the Geelong Club (1889, VHR H1133) and the Wando Dale Homestead at Nareen (1891). He also undertook work in the Mentone area including a large skating rink in Brindisi Street in 1888 and the Mentone Memorial Presbyterian Church in c1889. 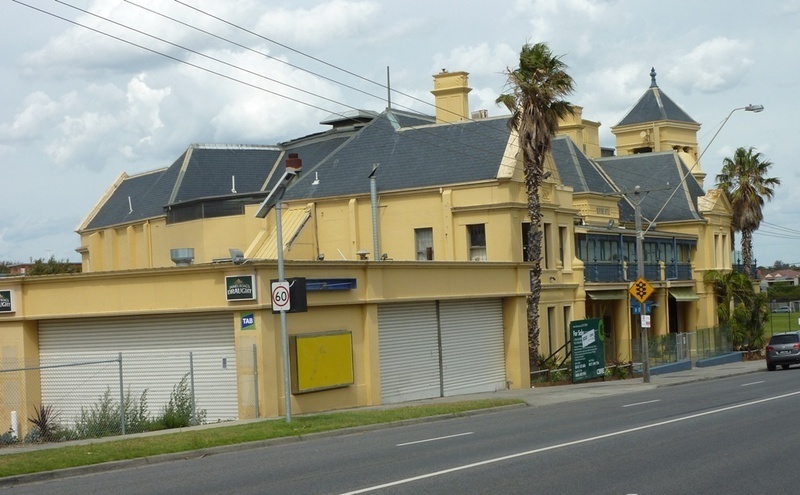 The Mentone Hotel is associated with the development of seaside accommodation in Victoria during 1880s boom period. It is significant for its highly unusual and original design, which blends classical and innovative elements in a striking and exuberant manner.
. Internal works to all parts of the place, excluding the main staircase, stairwell and ceiling light. Internal works must not result in any adverse impact on the original external fabric and must not be detrimental to the cultural heritage significance of the exterior of the place.
. 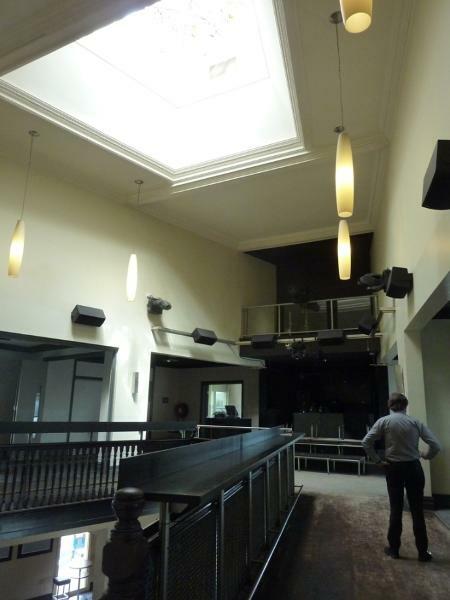 Removal of non-original items such as air conditioners, pipe work, ducting, wiring, antennae, aerials etc, and making good in a manner which does not affect the cultural heritage significance of the place.
. Installation or removal of non-original external fixtures and fittings such as, hot water services and taps.
. Installation and repairing of damp proofing by either injection method or grouted pocket method in a manner which does not affect the cultural heritage significance of the place.
. Demolition of the former bottle shop and non-original attachments to the original north-west facade. 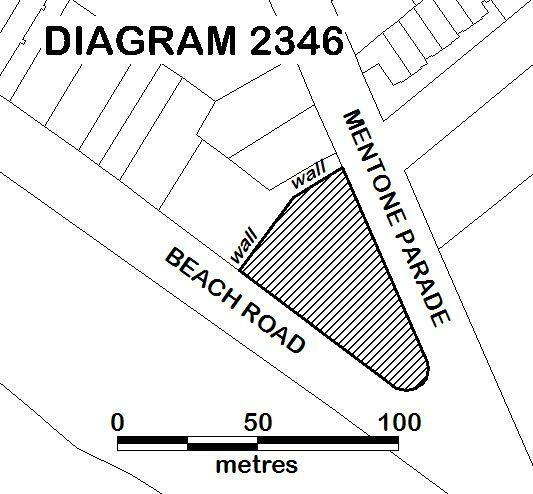 The extent of registration of the Mentone Hotel on the Victorian Heritage Register affects the whole place shown on Diagram 2346 including the land and building. Under the Heritage Act 1995 a person must not remove or demolish, damage or despoil, develop or alter or excavate, relocate or disturb the position of any part of a registered place or object without approval. It is acknowledged, however, that alterations and other works may be required to keep places and objects in good repair and adapt them for use into the future. The cultural heritage significance of the Mentone Hotel lies in its important associations with the development of seaside accommodation as one of a number of hotels built during the peak of the 1880s boom period in Victoria. It is significant for its highly unusual and original design, which blends classical and innovative elements in a striking and appropriately exuberant manner.
. The two storey 1889-90 hotel building.
. All single storey rear additions. c) Archaeological: Ground disturbance may affect the archaeological potential of the place and, subject to the exemptions stated in this document, requires a permit.